Francesco Schettino, the Costa Concordia ship captain accused of causing the accident on January 13, 2012 was released from house arrest yesterday. Click here for MSNBC news article. He is charged with multiple counts of manslaughter, causing the accident and abandoning ship prematurely. A strict component of his house arrest prevented Schettino from communicating with anyone besides his lawyer and close friends. Now that the house arrest has been lifted, however, the AFP reported that Schettino made a statement to the media claiming that a “divine hand” guided him and saved lives. School is out, temperatures are soaring, and conditions are prime for water sports fanatics and families eager to spend some downtime on the high seas during the upcoming summer months. With the variety of onboard activities on the rise, it’s no surprise that the number of reported injuries is, too. Whether passengers are testing their dexterity on the rock-climbing wall, perfecting their serve on the volleyball court, practicing their putt during a round of mini golf, or even learning to surf, the 11th Circuit Court of Appeals recently ruled that an “Onboard Activity Waiver” is invalid and unenforceable against passengers who sustain injuries while engaging in activities on the ship. 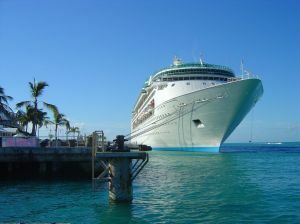 In Johnson v. Royal Caribbean Cruises, LTD, a passenger brought a personal injury action against the cruise line when she severely injured her ankle on a simulated surfing activity called “The FlowRider” aboard the Oasis of the Seas.